Haven't used your PC for a while and forgot Windows 10 sign-in password? Change Windows password often but couldn't remember the last password used on your laptop? Need to assist someone else in resetting lost computer password? Performing a clean install of Windows is never a good idea, especially if you have important softwares or files stored on your hard drive. In this tutorial we'll show you how to easily reset forgotten Windows 10 password with or without reset disk. Step 1: Once you type in incorrect password at Windows login screen, you'll get the error message "The password is incorrect. Try again." To continue, you have to click OK. Step 2: Next, click the "I forgot my password" link below the password box. Make sure that password reset disk is plugged into the computer. Step 3: It will open the Password Reset Wizard. Follow the on-screen instructions to select your password reset disk and create a new password. When it's done, you can use the new password to log on to your Windows 10 system. Notes: A password reset disk works with local account only on your computer. If you forgot Microsoft account password on Windows 10, just use another device to visit Microsoft account password reset page and you can reset the password online. If you've ever forgotten Windows 10 password and have no password reset disk, PCUnlocker can come into rescue. 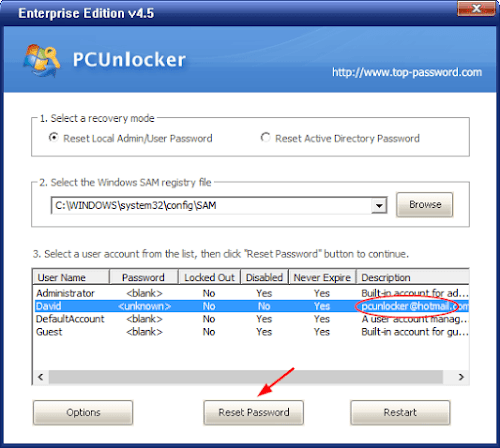 PCUnlocker is pretty easy to use and it comes with an intuitive interface, so even computer novices can use it to unlock any Windows 10 PC after a local or Microsoft account is locked out. Step 1: Use another PC to download PCUnlocker ZIP file (trial version), extract to get the ISO file named pcunlocker.iso. 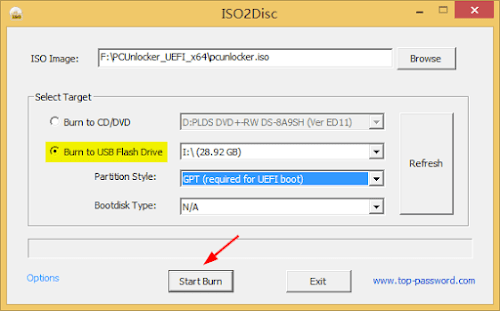 Then burn the ISO to a USB drive (or CD) using the freeware ISO2Disc. Step 2: Insert the USB drive into the computer with forgotten Windows 10 password. Go into the BIOS/UEFI setup and change the boot priority so that you can boot from USB. After booting from USB, you should see the PCUnlocker screen which lists out all local users on your Windows 10 system. Step 3: Choose one of your accounts and click on the "Reset Password" button to clear/delete your forgotten password in no time. 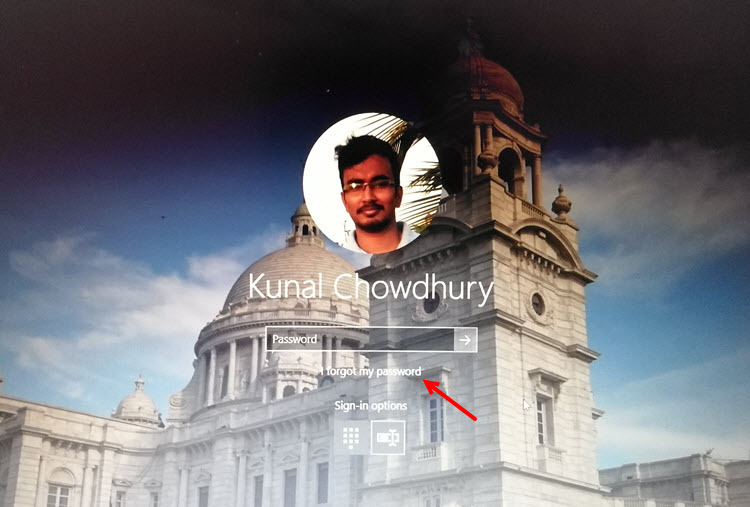 In case you choose a local user associated with your Microsoft account sign-in, the program will help you convert Microsoft account back to local user, so you can regain access to your user profile. That's it! Passwords are hard to remember, so don't beat yourself up if you forget yours. After logging back into your Windows system, you should go into the Control Panel to make a password reset disk, or create a bootable PCUnlocker USB. So, when you're locked out of your computer next time, you can simply find the disk/USB to help you out. If you have come this far, it means that you liked what you are reading (Here's how to reset Windows 10 password with or without Reset Disk).